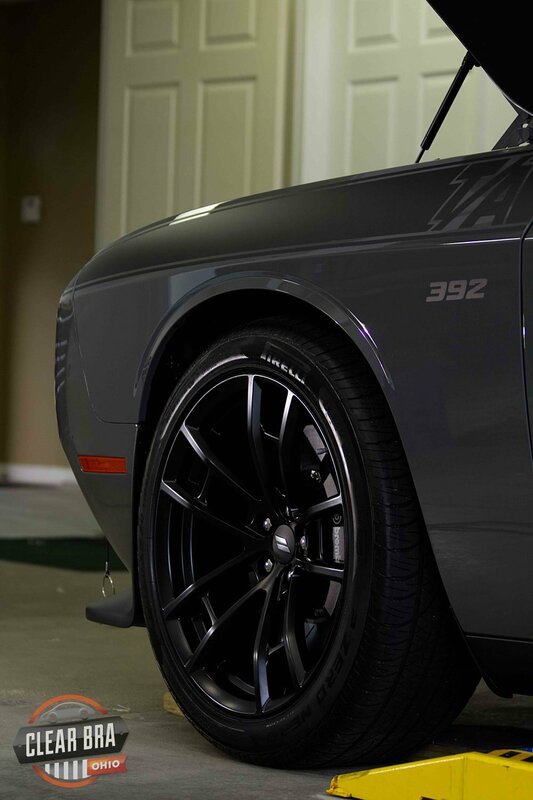 This Destroyer Grey Dodge Challenger is one stealthy looking vehicle. It has a combination of gloss paint and matte surfaces. This creates a dilemma when it comes to installing paint protection film. If you install gloss ppt over the matte surfaces, those areas lose the matte effect and appear glossy. To keep the gloss and matte areas looking the way it was designed while fully protecting the vehicle took a one-off custom solution. So, the team at Clear Bra designed and implemented a custom solution using several Suntek paint protection films for this client that met their protection needs and maintained the look they desired. 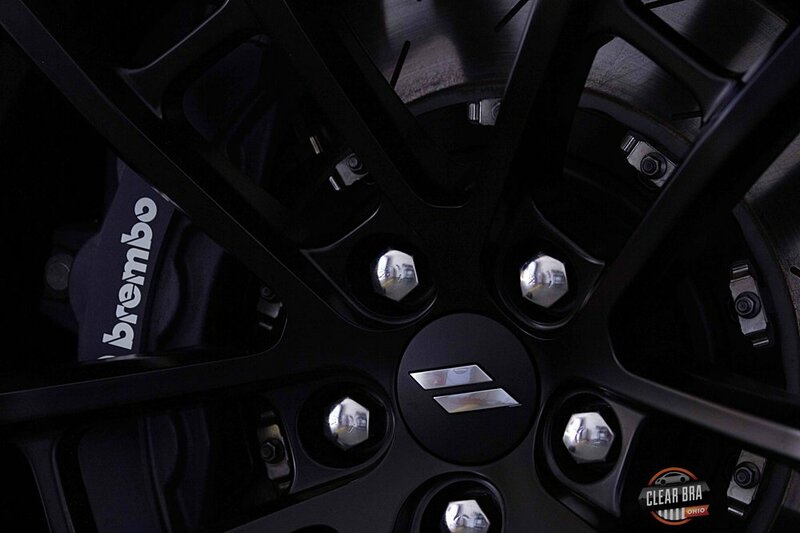 To finalize the protection, we applied Opti-Coat Pro on the entire vehicle including the wheels. This coating will enhance the vehicle finish and protect both the painted surfaces as well as the areas covered with paint protection films from damage by things like insects, bird droppings, etc. Check out the pictures below to see how great this car turned out. We have said it before, but it bears repeating. There is a noticeable difference between what we do and others offer. When you want and are ready for the very best, call us at (937) 271-8366 or email us at ClearBraQuotes@gmail.com to learn more about our services and pricing.